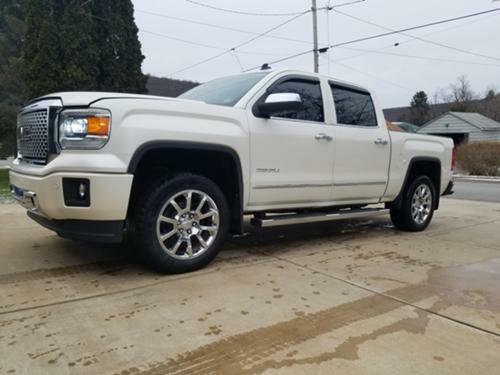 For Sale: Listed is my 2014 GMC Serria Denali crew cab. Truck is in great shape and well taken care of. Has 111,000 miles and runs strong. Standard maintenance done every 3K miles. Has new front performance rotors and breaks newly inspected for PA. Carpet is flawless. Leather seats. A total package as Denali's are.